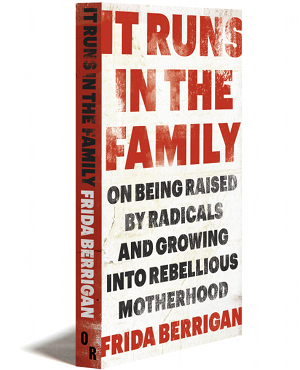 This crisp, contemplative memoir of an American radical arrives at a moment of surging activism and rage. It is essential reading for progressives struggling with how to act and survive in the Age of Trump. 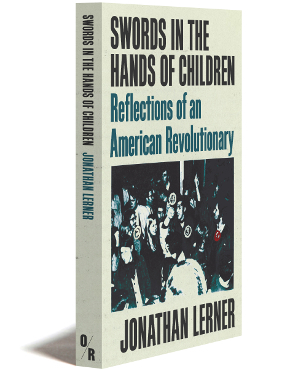 Against the vividly evoked chaos and conflicts of the Vietnam Era, Jonathan Lerner probes the impulses that led a small group of educated, privileged young Americans to turn to violence as a means of political change. Beyond that, he tells the true story of an intellectually adventurous but insecure gay man immersed in the macho, misogynistic and physically confrontational environment of the Weathermen. Variously known as the Weather Underground, the Weathermen, or Weatherman, the group unleashed a series of bombings across the United States, attacking the Pentagon, the Capitol Building, and the U.S. State Department, among many other places. At its height, the organization consisted of several hundred people, all committed to violent change and toe-to-toe battles with the police. Inventing himself first as “minister of propaganda” for a movement — and along the way participating in the Venceremos Brigade in Cuba and observing the Native American uprising at Wounded Knee — and then reinventing himself as high-rolling gay hustler, Lerner recounts a wild and utterly American journey from idealism to destruction and beyond. Other Weatherpeople have written memoirs; none has explored the painful history of the consequential group with such penetrating honesty. Jonathan Lerner about 1972, photo credit Barbara Leckie. “Days of Rage”, October 9, 1969. We rented a big, old row house. We pooled resources, but we were broke all the time. “How did we live? How did we eat?” John Fournelle asked me. Hardscrabbling suffused his feeling for the period. He recalled collecting soda bottles on the street to turn in for refunds, and one of his sharpest memories, contrastingly rich, was when a few of us stopped at my father’s in Chevy Chase and ate ice cream drizzled with creme de menthe. We shoplifted groceries. We ate a lot of peanut butter and brown rice. Sometimes we found part-time jobs to supplement the erratic donations we received. The self-imposed poverty didn’t bother me. I liked the idea that I could carry everything I owned in a backpack. It enhanced that self-righteous idea of being a guerrilla, someone who could disappear nimbly without a trace. For much of my adult life I have lived close to the edge financially; I wouldn’t advise becoming a writer, if you can’t handle that. But I’ve always been confident that things would work out and I would somehow be okay. Some philosophies hold that if you believe that sort of thing about yourself fiercely enough, it will be realized. Of course, that is magical thinking, too. In the Washington SDS house, we created a semblance of domesticity: chores done more or less responsibly, on a rotation; communal dinners around the big splintery telephone-cable spool that served as a dining table. We even partied occasionally, scraping up the price of nickel bags of pot and hits of acid and gallon jugs of Gallo Hearty Burgundy. The summer was easygoing and largely uneventful. We ran a “freedom school” for high school kids, did draft counseling. I had one chilling moment when we were gathering for an anti-draft rally in Dupont Circle. It was a hippie hangout then, and we figured we might interest a few of the idlers. A man pulled to the curb and beckoned me over; I thought he wanted to ask directions. He thrust a stack of leaflets at me through his window, then sped away. They read, “The crosshairs are on you,” and were signed by the Minutemen, a right-wing paramilitary. I threw them away and never mentioned this to anybody, absurdly embarrassed that I might have been specifically targeted because of some manifest weakness. And for a while, I walked the streets feeling marked. It was blazing hot in late August when seven or eight of us set off for a soporific two-day drive to Chicago, to join the protests at the Democratic National Convention, in our 1961 VW microbus. Cute vehicle, you might think, but it had a puny 40 horsepower, and hinged windows that only opened four inches. Chicago, however, woke us up briskly. Rather than a single demonstration, this was a series of feints and skirmishes that grew in size and violence over five days. It ended with the televised police riot outside the Conrad Hilton, the Democrats’ headquarters hotel, where the chant “the whole world is watching” was born. On our first day in town, Cathy and I left the SDS national office (everybody called it the N.O.) to go out posting an agitprop “wall newspaper” called The Wall/Street Journal. We weren’t aware of being followed but must have been because the minute we pasted one up, we were collared. At the station we were separated. I was put in a cell with a bearded hippie facsimile who, improbably, had a camera in his possession and tried pointing it at my face. I held my palm up in front of his lens; he was soon “released.” Then I was taken to an interview room where a man in plainclothes who did not identify himself politely said that he only wanted to know our plans for the week. When I demurred he allowed, with somewhat more menace, that he was sure I wouldn’t want to harm my father’s State Department career. I didn’t really have or know of any plans, beyond being part of the action. And if I had, I wouldn’t have divulged them unless the cops had beaten them out of me. The dude with the camera, the detective’s knowledge of who I was — this episode felt comic in the moment, and I was released shortly, without being charged. It felt creepier after the fact—the state’s iron fist in a velvet glove. I was busted again twice in the following days. Once it was for failing to put on the headlights as I was “racing” us to safety from a nighttime street battle in the pokey microbus. We were all escorted into the station where we contrived to sidle up to an open window, one by one, and drop through it the rocks we had put in our pockets for the purpose of throwing at police. I had a third arrest, too, I forget for what. In all these, I either wasn’t charged, or the charges were dropped. Still, it was agreed that I ought to get off the street. I spent the remaining days of the demos camped out at the N.O. helping put out more posters, making calls to raise bail money, and watching the increasingly disturbing confrontations on TV. My younger brother Higgy, who was sixteen, phoned me there. Our checked-out father had sent him to California to spend the summer with our uncle’s family. Now hitchhiking home to Washington, he had been drawn to the action. In a rare gesture of family loyalty, protectively, I insisted that he come to the N.O. to get off the streets and out of the fighting, and after a few days sent him on his way home via my Antioch friends in that farmhouse where I’d spent the spring. But my family feeling only went so far. Around the same time, our mother’s father died. I did not go to his funeral, and I never bothered to see my grandmother again, either. In Chicago, once more it seemed I had avoided risks and escaped consequences. Luck? Subconscious maneuvering for self-preservation? This recurring aspect of my Sixties career made me feel vaguely inauthentic, as if I had something to hide. No more. There are things that I regret about those years. But having avoided both serious legal trouble and getting my head cracked are not among them. After the strikes at Columbia and Paris; after the assassination of King and the ensuing eruptions of black rage; after the stunning viciousness of the cops in Chicago; after the Democrats torpedoed the peace candidacy of Senator Eugene McCarthy, who had won a plurality of primary votes, in favor of the war apologist Hubert Humphrey; after the Republicans nominated Richard Nixon who ran on a platform of “law and order,” which we correctly understood to mean repression of antiwar, leftist, student, black, and Latino activists, et cetera; after this cascade of barbarities, when the school year began in September, SDS chapter meetings were standing-room only. Students in great numbers craved to connect and react and to hear our message. And we didn’t hide our politics. That wasn’t necessary, because the revolutionary vision coming from SDS was utopian and vague enough for anyone to feel included in it. It could attract anybody who had a sense of indignation or a renegade urge. In truth, there was a spectrum of visions. There were organizers whose promised future drew directly from the Marxist-Leninist tradition: an industrial economy rationalized by centralized planning; a society in which classes would disappear as everyone was equalized, in which all would participate and by which all be taken care of. If the communist mother ship, the Soviet Union, seemed too chillingly bleak a model, there was the genuinely moving example of Cuba. Cuba was easily embraced because its history and impoverishment as a U.S. quasi-colony was obvious and shameful, and also because it was nearby, colorful, musical, warm, and seductive. And in revolutionary Cuba, inspiringly, the riches of an oligarchy had been nationalized so the former peasantry could receive literacy lessons, health care, and enough to eat. At the time we didn’t notice the police state aspect of the Cuban revolution. And there were gauzier dreams that some organizers, including me, wrapped all this in: visions of pastoral communalism in which the sun was always shining and the garden ever bounteous; an innocent belief in Martin Luther King‘s “beloved community,” where decency and equality would prevail; confidence in the limitless creative power of expanded consciousness via psychedelic drugs; and all manner of stirring hallucinations embedded in the music of the moment. For me, most alluring among those was the vision in David Crosby’s “Triad,” first performed by the Jefferson Airplane. “Sister lovers, some of you must know about water brothers, and in time, maybe others. So you see? What we can do is to try something new, that is if you’re crazy too.” Personally? I was hoping for water brothers. Each of us on the D.C. staff took on some particular task, either working with one of the college chapters, or focusing on draft counseling, or in my case organizing high school kids. I was organizing at schools just like, and including, the one I had attended, but coming up the drive now in the groovy microbus, with my long hair and beads and irreverence.